I apologise for the lack of information I’ve been blogging recently – life moves at at least 100mph these days. I’m going back to a shoot I did a few months a go. A Belfast-based record label (DSNT) got in touch with me about shooting one of their artists who was based in Manchester. We worked some things out and eventually I got in touch with the artist, Deadsound, to organise it. It was a great coincidence when it turned out he lived on the same road as me, just a few doors down! 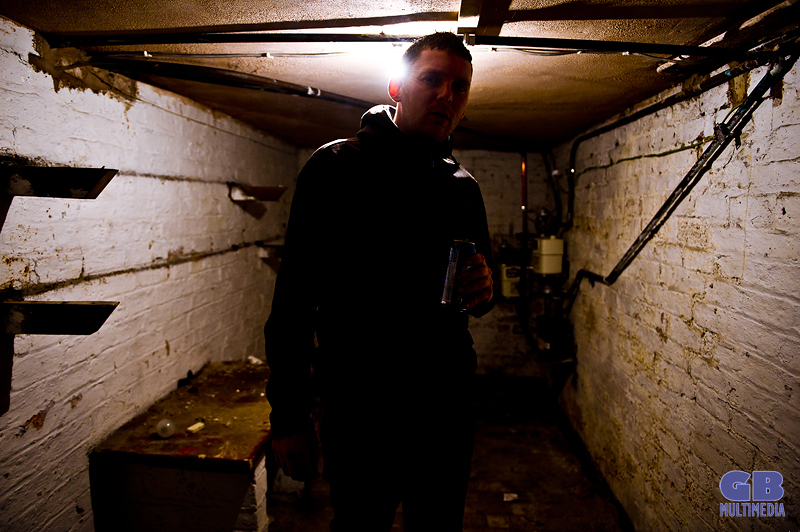 In organising the shoot, we decided on using the derelict basement of Paul Deadsound’s building, it seemed to be well suited to the dark industrial sound of the techno that he produces. I went round on a wet Saturday afternoon and surveyed the space – it was nice and empty and ripe for shooting in! Over a brew we got to know each other and looked through some images of other artists that he liked. There were quite a few images with distorted, blurred or invisible faces, and ‘ghostly’ images from longer shutter speeds. 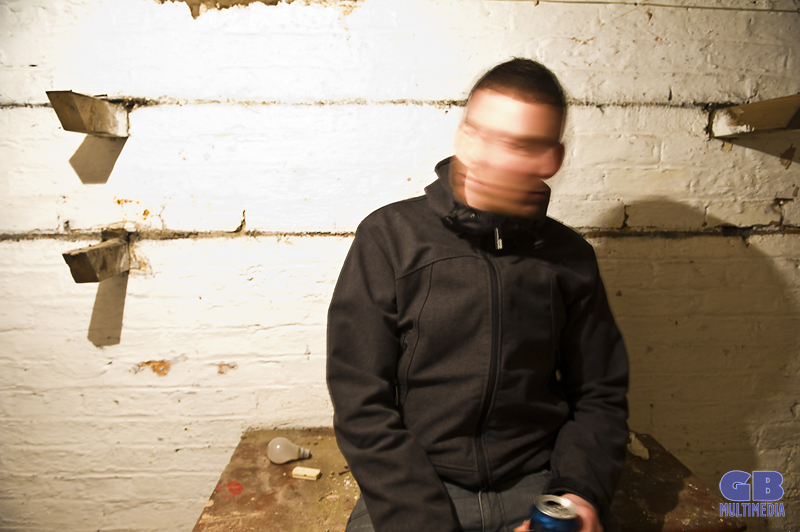 I thought we should use this style – without any photoshop trickery – by having Paul standing (or sitting) still whilst shaking his head, and using a slightly longer shutter speed (camera on a tripod). 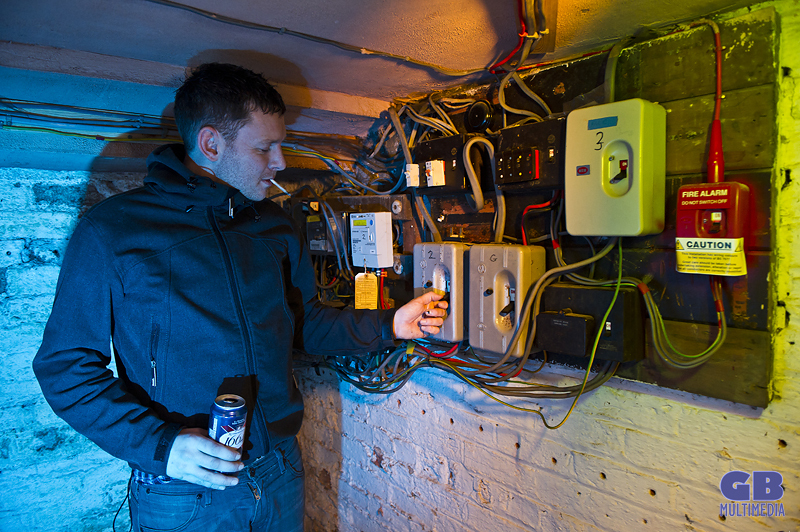 We went down to the basement and started off, messing about with some of the different lights and combining them with some off camera flash to light up the background. 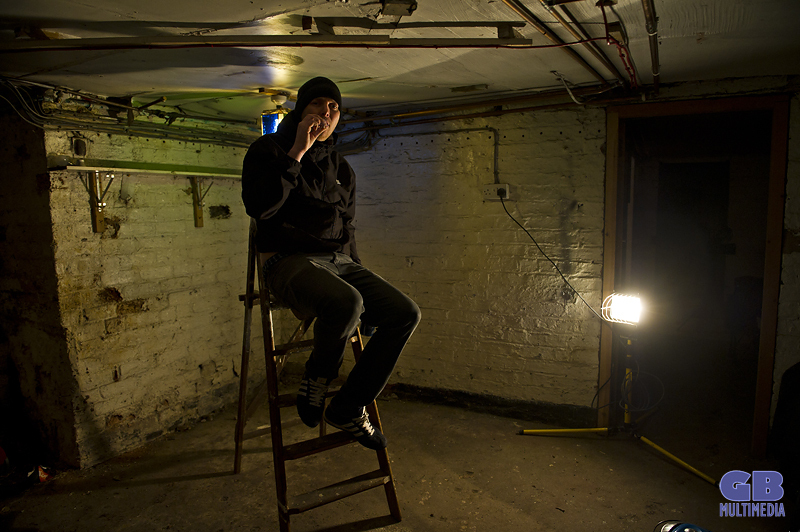 Eventually we ended up with a few different shots that I was happy with – we captured the dark and desolate mood which Deadsound conjures up so well in his music and were able to be a little more creative than doing the standard, boring, ‘man stood against wall’ press shot.